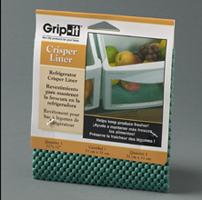 Grip-it Crisper Liner helps keep produce fresher by reducing moisture build-up. 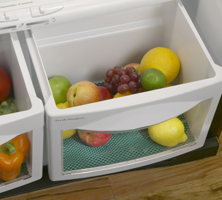 Odor, mold, and mildew resistant, too. Durable, washable, and easy to cut into your desired shape.